MASICKA LIVE IN TAMPA 3 - 15 - 19 @THE BOUNCE BOY,TAMPA,FL. BASS ODYSSEY AT MODELLERS & FLOSSERS IN MAY PEN CLARENDON 25TH JAN 2019 - PURE DUBPLATES!! It’s that time again!!! 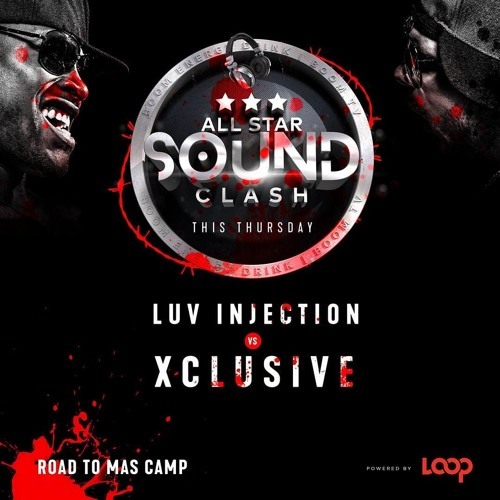 Boom All-Star Sound Clash returns at All-Star HQ featuring Luv Injection vs Xclusive at 135 Olympic Way Kingston 11, on Thursday 17th March 2019. Don't forget to subscribe to our mailing list or press the notification push button at www.realghettostoriez.com and never miss out on an update.